A week after being the target of trolls on social media, Quebec-born forward Maxime Comtois has spoken out publicly for the first time. The captain of Canada's world junior championship squad took to Twitter Wednesday to thank all of those who sent encouraging messages following the attacks. 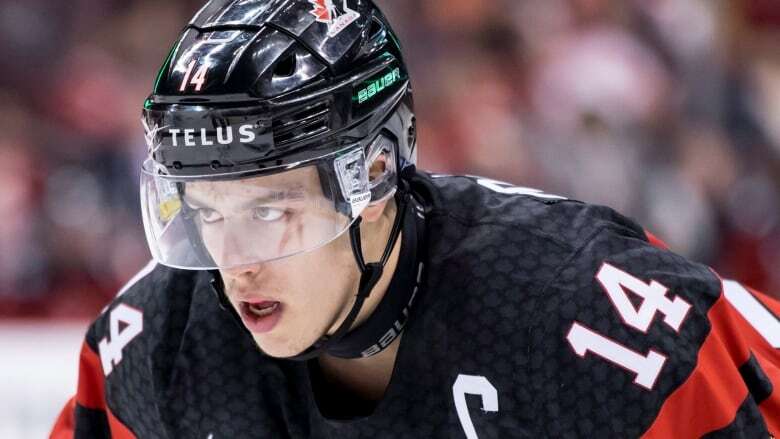 A week after being the target of trolls on social media, Quebec-born forward Maxime Comtois has spoken out publicly for the first time. The captain of Canada's world junior championship squad took to Twitter Wednesday to thank all of those who sent encouraging messages following the attacks. "Cyber bullying is a real threat. No one should go through that," he wrote. "Let's prevent it. If you are getting bullied or ever had been please speak up." He attached a message saying he and his teammates "gave their hearts and souls, both on and off the ice, to represent our country to the best of our abilities." The left winger was stopped on a penalty shot in overtime in Canada's 2-1 quarter-final loss to Finland on Jan. 2, and when Finland subsequently scored, Canada failed to make the medal round for the first time in 21 years. The Ducks selected Comtois in second round of the 2017 NHL entry draft.